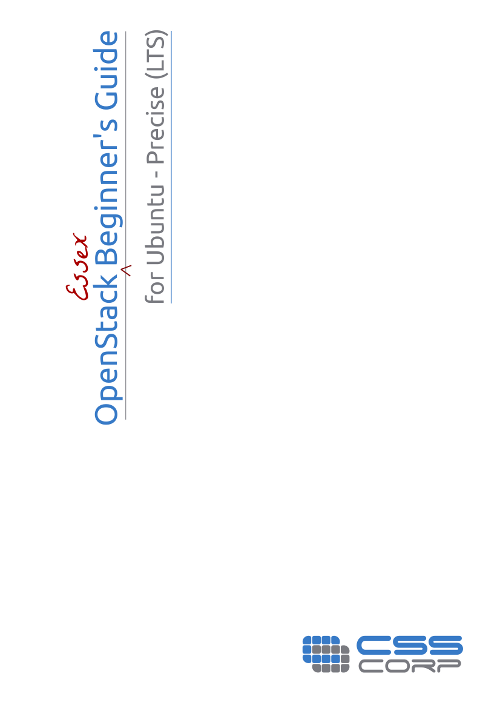 OpenStack Beginner’s Guide V2.0 for Diablo on Ubuntu 11.10 Oneiric is here! OpenStack Beginner’s Guide V2.0 for Diablo on Ubuntu 11.10 Oneiric is now available as a pdf file. Please have a look it and let us know if you have any comments/suggestions/feedback. We will do our best to enhance the guide based on your suggestions. We would like to thank Anne Gentle and all participants of DocBlitz sessions and several others who have given feedback on these pages, on the documentation pages of OpenStack and offline through emails. Dropped Dashboard section, for now, as the new version of Dashboard relies on Key Stone. We will include them back once the key issues releated to Keystone/Dashboard on Ubuntu get resolved. Dropped Role Based Access Control Chapter. This is undergoing rewrite and we will add it soon.